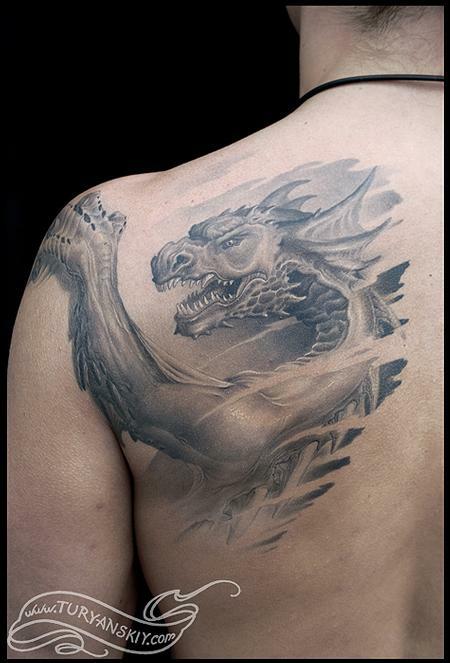 Custom black and gray dragon tattoo. About 15 hours. Healed. 2011.